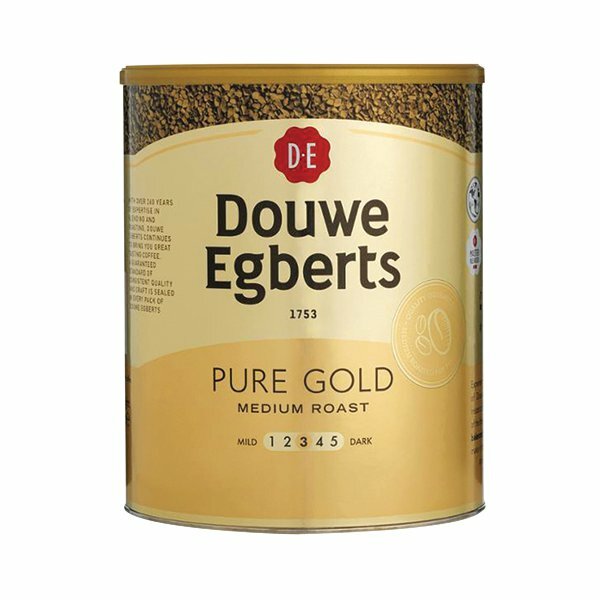 Made from carefully selected Arabica beans, Douwe Egberts coffee features a renowned rich and aromatic taste. Roasted using expertise built up over centuries and freeze-dried to capture maximum flavour, every cup of coffee has been carefully developed for rich and balanced tones. 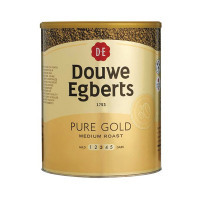 Kept in a resealable catering tin to retain freshness, Pure Gold is the ideal coffee for guests and colleagues alike.